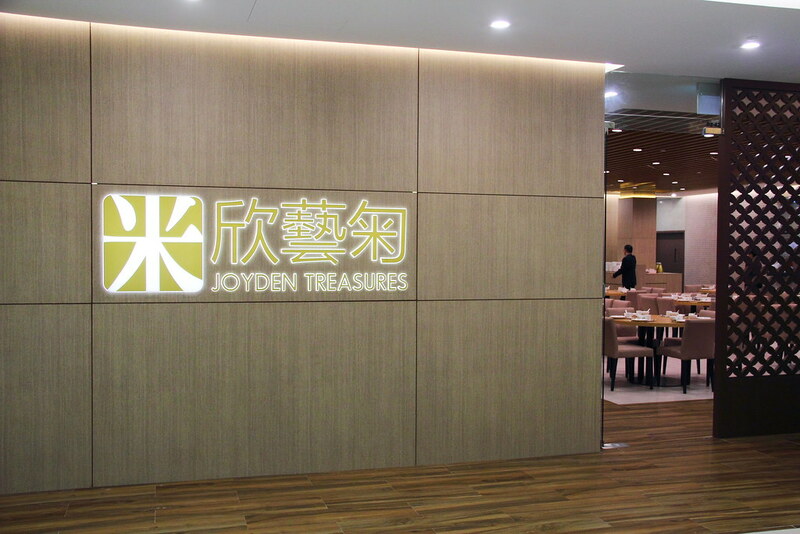 Time flies and Joyden Treasures has opened at Leisure Park Kallang for 2 years. 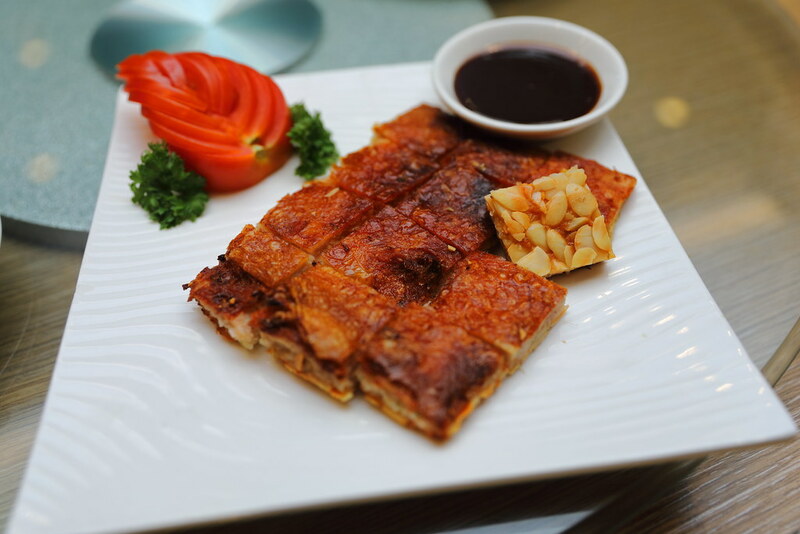 In celebration of its 2nd anniversary, Joyden Treasures introduces over 20 new dishes to its already extensive menu. I have been back to Joyden Treasures a couple of times and even introduced my friends to the restaurant. We have enjoyed the food at Joyden Treasures and it is great to know that they have created new dishes, providing more reasons for me to revisit the restaurant. Being a Teochew, I love having chilled crab. 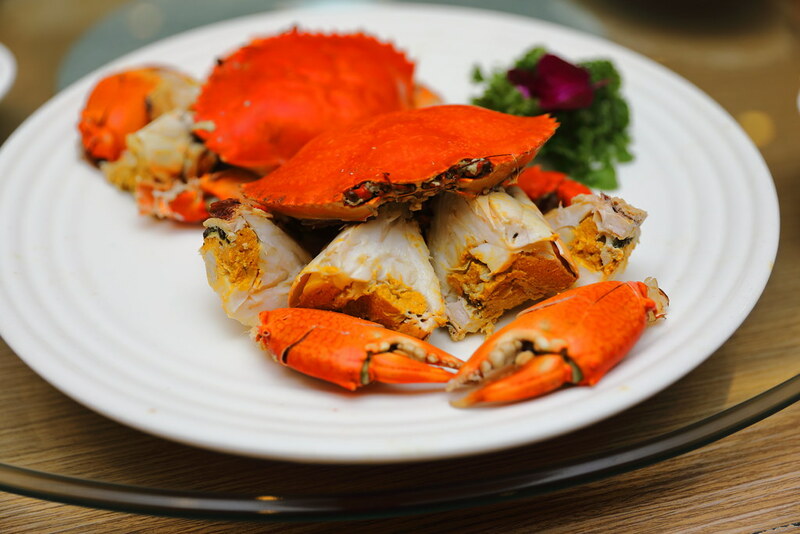 I always feel that this is the best way to appreciate the natural sweetness of the crab. I was glad to see the Chilled Yellow Roe Crab (market price) on the new menu. The yellow roe crab is poached in a broth redolent of ginger and spring onions. It is then cooled to room temperature and chilled in fridge. The creamy, golden roe is a delicacy on its own, bursting with unami. 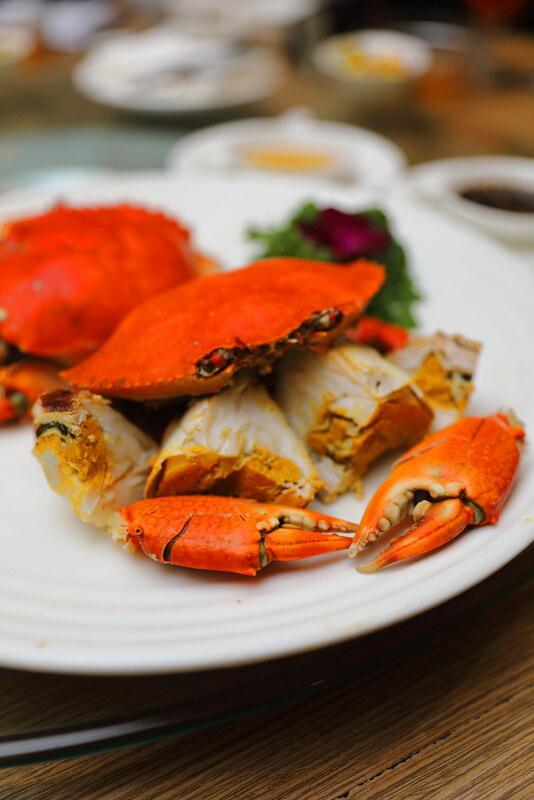 Guests can also choice to enjoy the succulent crab flesh together with the sweet plum sauce or homemade ginger and vinegar mix. The weather was rather cold during my visit and the Poached Flower Clams with Mustard Greens in Superior Broth ($20) was perfect to warm up the body. I was told that the mustard greens have health benefit such as cooling and cleansing the body. It is a painstakingly process to cook them. It needed to be soaked, brushed and washed repeatedly in cool water to lighten the bitterness. 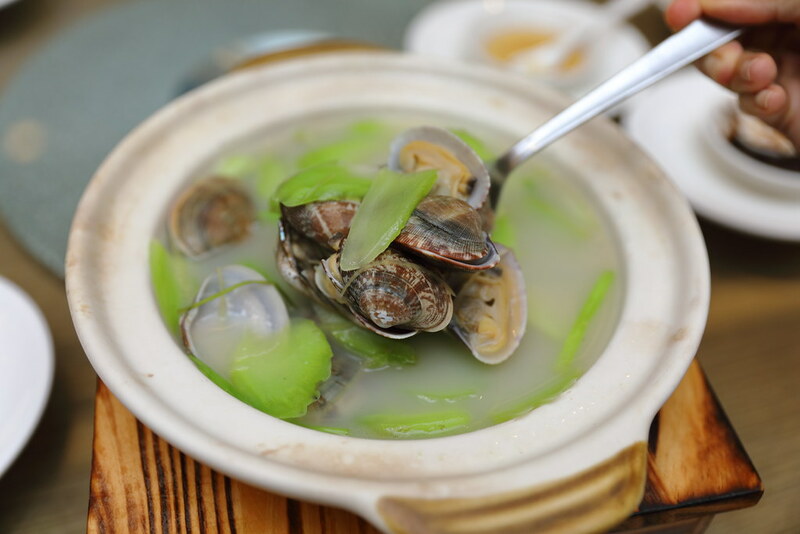 The milky white broth is sweetened by cooking the flower clams in the seafood broth. Chinese rice wine and crumbed sole fish are added to accentuate the flavour. 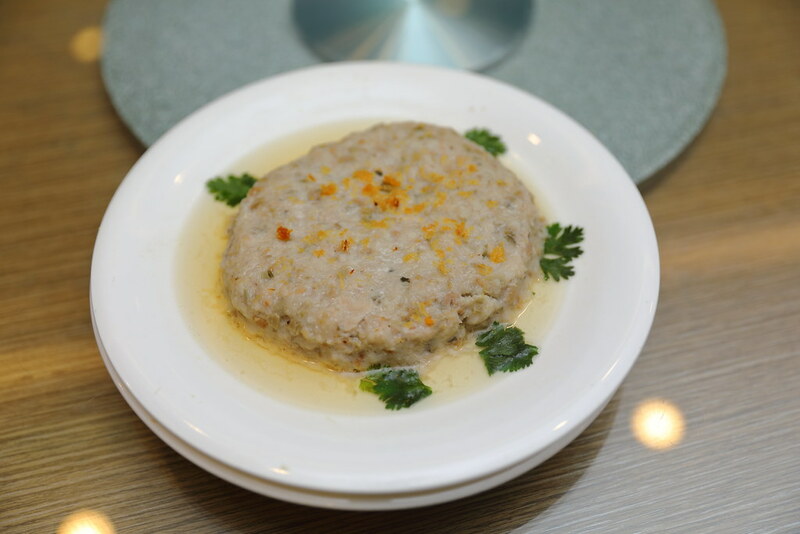 A homely dish on the menu is the Steamed Minced Pork with "Mei Cai" ($18). The patty used a combination of hand-chopped pork loin and shoulder. Preserved vegetables are also added into the patty for a sweet finishing. The diced water chestnuts provided the additional crunch. 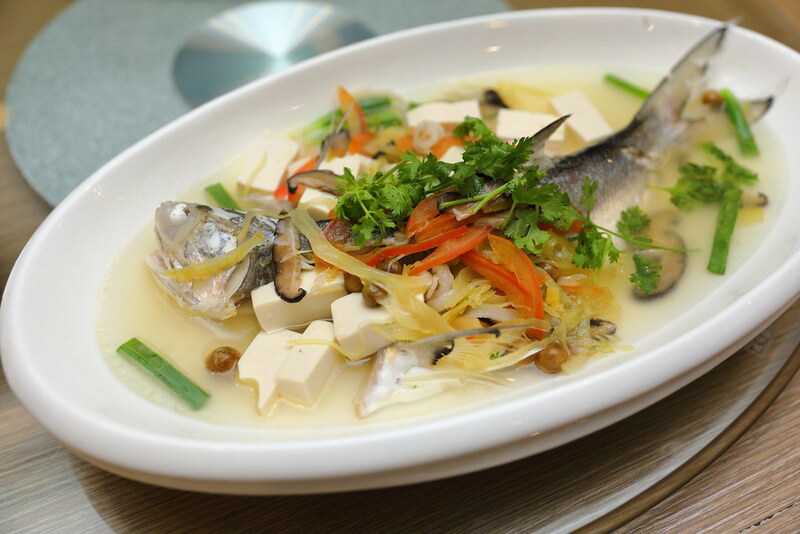 For a change, we had the Steamed Young Threadfin with Chinese Pickled "Olives" (market price). Instead of the usual soy sauce or minced ginger style, the delicate and tender flesh of the young threadfin is steamed with tofu, slivers of shitake mushroom, mustard greens, tomatoes, ginger and slices of pork belly fat. There is a special ingredient in the dish, pickled Chinese "olives" which is known for its health and nutritional properties. I rarely see it used in Chinese restaurant. The first time I came across it was at Chef Kang's Kitchen. It has a olive-like flavour which lifted the deliciousness of the dish. 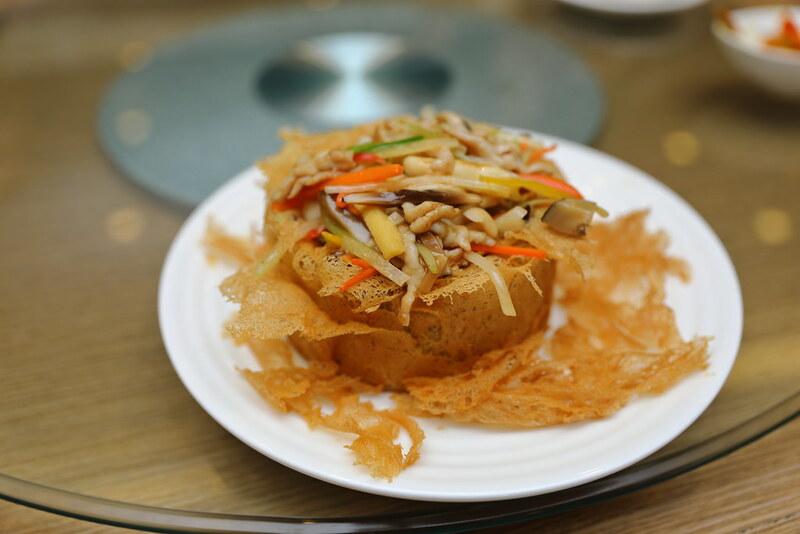 Good for around 4 pax is the Crispy Homemade Yam Ring with Vegetables and Pork ($20). A crispy exterior encased the soft, soft and fluffy yam paste within. This is paired with slivers of julienned baby corn, turnip, red and yellow peppers, celery, carrots, shittake and shimeiji mushrooms and pork. Diners can also request for a vegetarian version. A dish that requires skill and lots of effort is the Crispy Chicken Skin Stuffed with Seafood ($24). The chef skillfully removed the skin of a whole chicken, ensuring it remains intact as a whole piece. Next the chef has to remove the fats underneath the skin and air-dry it to to further remove any excess moisture. A seafood paste is spread across the underside of the skin and flash fried. The addition of almond provided the extra crunch and nutty aroma. 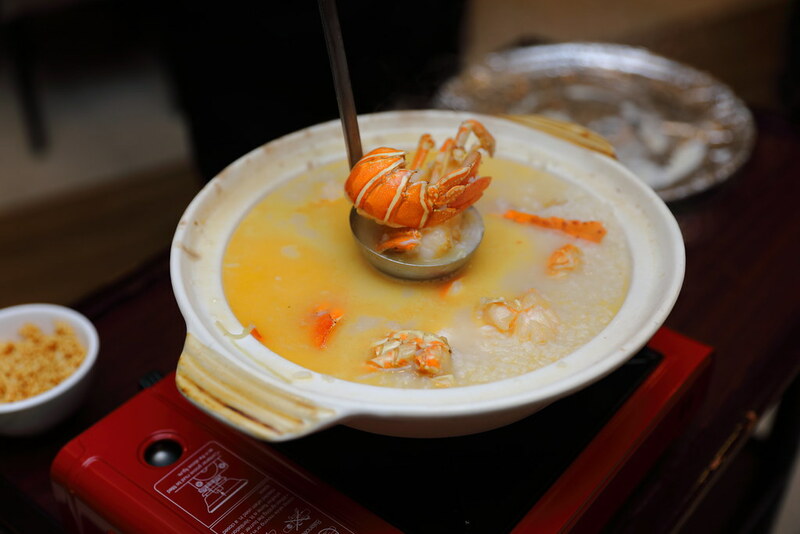 Something luxurious and comforting on the menu is the Lobster Claypot Porridge with Crispy Rice Puffs (market pricing). A whole huge pipping hot claypot of porridge is rolled out on a trolley tableside. The pot of porridge uses a variety of rice grains to achieve the perfect texture the chef wants. This is cooked in a heady seafood and lobster shell broth. The lobster porridge also comes with condiments such as deep fried rice puffs, shallots, fried garlic and cilantro. Overall I have enjoyed the new menu at Joyden Treasure. The refreshed menu has definitely given their customers and me more reasons to visit again. In fact, I am already planning to celebrate my parents' birthday at Joyden Treasure, as well as trying the rest of the new creations.